An 85-year-old Kearny Mesa woman says a stranger with a puppy, and one convincing cat story, made her priceless heirlooms disappear. 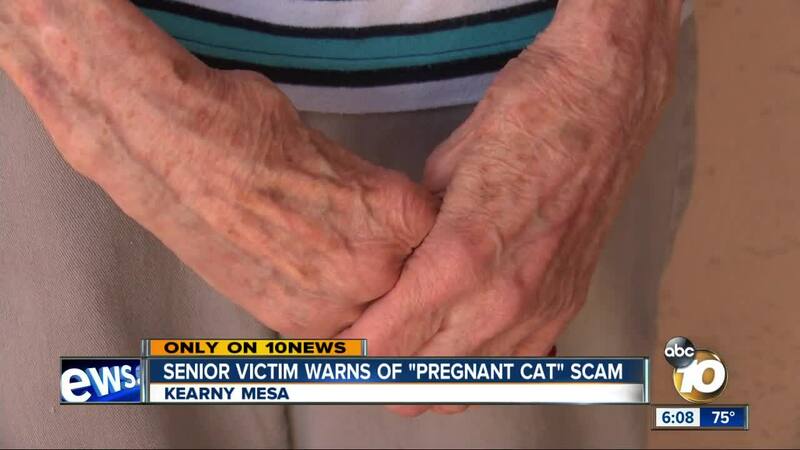 SAN DIEGO (KGTV) — An 85-year-old Kearny Mesa woman says a stranger with a puppy, and one convincing cat story, made her priceless heirlooms disappear. Just off Argyle St. around 8 p.m. Tuesday, a dark-haired woman - possibly in her late 20s - was at Jennifer's front door with an urgent plea. "She was holding a puppy in her arms. She said her pregnant cat had gotten loose and was in my backyard, and she'd like to go get it. I felt sorry for her," said Jennifer. Jennifer says she let the woman in her backyard through a garage door. As the woman searched, she tugged on Jennifer, as they searched around the yard. Jennifer says the woman occasionally claimed she had spotted the cat. A few times, the woman spoke Spanish with someone on her cellphone speaker. "After about 30 minutes, I told her I was going back in the house and she left," said Jennifer. A half-hour later, when Jennifer headed to bed, she found the jewelry boxes in the spare bedroom open. Almost three dozen pieces were gone, including her late husband's 1951 class ring and his wedding band. "I look at the band and see his love for me and my love for him. We were constantly together. I don't think you could put a price on it. I think they are lowlifes ... really bad they prey on old people," said Jennifer. One of her neighbors told 10News she was also approached by the same woman with the same story that night. Jennifer believes the voice on the phone was the accomplice who did the stealing while the other woman was in the yard. The thief also grabbed Jennifer's purse, credit cards, and keys.